The 2019 Stanley Cup Playoffs begin on Wednesday, April 10. Here are my predictions for each of the eight opening-round series. As always, bear in mind that I don’t take predictions seriously and these are merely for fun. Feel free to offer up your predictions in the comments section below. Tampa Bay Lightning vs Columbus Blue Jackets. The Lightning dominated the standings this season, winning their first Presidents’ Trophy and tying the league record for most wins (62) in a season. 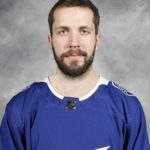 They have a very deep roster featuring the league’s leading scorer (Nikita Kucherov), the reigning Norris Trophy winner (Victor Hedman) and a potential Vezina Trophy candidate (Andrei Vasilevsky). The Blues Jackets needed the second-last game of the season to clinch a playoff spot. They acquired Matt Duchene, Ryan Dzingel and Adam McQuaid before the trade deadline but the moves didn’t significantly improve them. They were swept by the Lightning in the season series and outscored 17-3. The Jackets will be gamers but they lack the depth to upset the Bolts. Prediction: Lightning in four. Boston Bruins vs Toronto Maple Leafs The Lightning’s dominance in the East overshadowed a strong performance by the Bruins. They possess one of the league’s top scoring lines in Patrice Bergeron, Brad Marchand, and David Pastrnak. The Bruins can also rely on a solid defense corps and two dependable goaltenders in Tuukka Rask and Jaroslav Halak. Washington Capitals vs Carolina Hurricanes. For the first time in 10 years, the Hurricanes reached the playoffs. They have talented young forwards such as Sebastian Aho and Andrei Svechnikov and a deep blueline corps, the Hurricanes are an entertaining bunch that shouldn’t be taken lightly. The Capitals could find it difficult to repeat as Stanley Cup champions but they have the talent to pull it off. Led by captain Alex Ovechkin, centers Evgeny Kuznetsov and Nicklas Backstrom, defenseman John Carlson and goalie Braden Holtby, their championship roster from last season remains largely intact. Their depth in experienced talent should see them through. Prediction: Capitals in five. New York Islanders vs Pittsburgh Penguins. The Islanders defied the odds this season by clinching a playoff berth and home-ice advantage in the opening round. Under coach Barry Trotz, they’ve significantly improved on the blueline and between the pipes, with Robin Lehner and Thomas Greiss having the league’s lowest goals-against average. It’s been an up-and-down season for the Penguins, who weren’t assured of a playoff spot until the final week of the season. They still possess plenty of postseason experience and offensive skill, led by superstars Sidney Crosby and Evgeni Malkin. Goaltender Matt Murray played well down the stretch, which should provide them with a much-needed edge. Prediction: Penguins in seven. Calgary Flames vs Colorado Avalanche. For the first time in 30 years, the Flames topped the Western Conference. Led by Johnny Gaudreau, Sean Monahan, and Matthew Tkachuk, the Flames are a dangerous offensive club. They also have a strong blueline corps anchored by captain Mark Giordano. Goaltenders Mike Smith and David Rittich, however, have been inconsistent. The Avs squeaked into the playoffs in the final week of the season. Of late, they’ve received stellar goaltending from Philipp Grubauer. They also have potent first-line scoring punch with Nathan MacKinnon, Gabriel Landeskog, and Mikko Rantanen, though the latter’s been sidelined since mid-March. The Avs could make a series of it but they won’t be a match for the Flames’ depth. Prediction: Flames in five. Nashville Predators vs Dallas Stars. The Predators finished atop the Central Division for the second straight season, but they’re not the dominating club that won the Presidents’ Trophy last season. Injuries to Filip Forsberg, Viktor Arvidsson, and P.K.Subban contributed to a decline in scoring, especially on the power-play. While the Stars have their own offensive depth issues, they could pull off an upset. Ben Bishop posted the league’s best save percentage (.934) and second-best goals-against (1.98) plus he has plenty of postseason experience. If he can stay healthy and if captain Jamie Benn rediscovers his playoff beast mode from three years ago, the Stars could surprise in the opening round. Prediction: Stars in six. Winnipeg Jets vs St. Louis Blues. Following last season’s march to the Western Conference Finals, the Jets looked like Canada’s best hope to end its 26-year Cup drought. However, they stumbled down the stretch and fell out of first in the Central. Injuries to Dustin Byfuglien and Josh Morrissey hampered their blueline while goaltender Connor Hellebuyck faced a league-high 2,051 shots. The Blues, meanwhile, soared from dead last in the West on New Year’s Day into third in the Central. Interim head coach Craig Berube instilled a more aggressive puck-possession system while mid-season call-up Jordan Binnington provided them with much-needed clutch goaltending. The Blues are rolling while the Jets seem to be fading. Prediction: Blues in six. San Jose Sharks vs Vegas Golden Knights. The Golden Knights aren’t surprising anyone as they did in their debut a year ago, but they’re still a very good team. Marc-Andre Fleury is among this season’s top goaltenders. The addition of two-way winger Mark Stone at the trade deadline provided a welcome boost to the forward lines. With the start of the 2019 Stanley Cup Playoffs over a week away, the Tampa Bay Lightning are completing one of the greatest regular-season performances in NHL history. With 59 wins and four games remaining in their schedule, they’re poised to become only the third team to reach the 60-win plateau in a season. They also have a shot at breaking the single-season record of 62, set by the Detroit Red Wings in 1995-96. With 122 points, they could become the first team in the salary-cap era to exceed 124 points. They clinched the Presidents’ Trophy for the best regular season record on March 18. As of March 30, they hold a 19-point lead in the overall standings. The Lightning not only dominates as a team but also at the individual player level. They’re the only club with three players – Forwards Nikita Kucherov, Steven Stamkos, and Brayden Point – who’ve reached or exceeded 90 points this season. Kucherov (122 points) has the Art Ross Trophy as the league’s scoring leader sewn up. He’s also the first player to reach 120 points since Sidney Crosby in 2006-07. Stamkos and Point, meanwhile, have reached the 40-goal mark. In goal, the Lightning possesses a potential Vezina Trophy candidate in Andrei Vasilevskiy, who was also a finalist for the award last season. Meanwhile, 2018 Norris Trophy winner Victor Hedman patrols the blueline along with potential Norris candidate Ryan McDonagh. Entering the 2019 playoffs as the favorite to win the Stanley Cup, the Lightning skate in rarefied air. 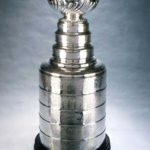 Taking home the Cup would cap a dream season, placing them among the NHL’s greatest single-season teams. And yet, some NHL followers seem skeptical over the Lightning’s chances of winning Lord Stanley mug. They recall how those ’95-’96 Red Wings were defeated in the 1996 Western Conference Finals against the Colorado Avalanche. No one’s suggesting the Lightning will have an easy road to the Cup. The playoffs are a two-month, four-round slog that can tax the limits of even the deepest roster. Holding the best record in the regular season often doesn’t translate into postseason success. Of the 32 previous Presidents’ Trophy winners, only eight went on to win the Cup. The Lightning also has their own recent history of playoff futility to deal with. They reached the Stanley Cup Final in 2015 and two Eastern Conference Finals (2016, 2018) but came up short each time. But if the Lightning can pull it off, it will be a significant achievement, one make rare in the NHL’s salary-cap era. Because of the cap, this season will be the last time this current Lightning club will get a shot at the Cup. With over $73 million invested in 16 players for 2019-20, they must shed salary to re-sign restricted free agents like Point, Cedric Paquette, and Adam Erne, plus they must re-sign or replace unrestricted free agent defensemen Anton Stralman, Dan Girardi, and Braydon Coburn. Next summer, they’ll probably have to free up more cap space to re-sign Vasilevskiy while promising defenseman Mikhail Sergachev and Erik Cernak will seek significant raises coming off their entry-level contracts. Winning the Stanley Cup would be the fitting capstone to the Lightning’s remarkable season. And if they win it, hockey fans should take a moment to appreciate the achievement. It could be years before we see another team like the 2018-19 Lightning again. Leon Draisaitl’s eight-year, $68-million contract with the Edmonton Oilers created a stir when the deal was announced in August 2017. With the Oilers fresh off their first playoff appearance in 11 years, some observers felt $8.5 million per season was too much too soon, even for a player coming off a breakout 77-point performance, including a 16-point effort in the postseason. That criticism carried over into last season when Draisaitl’s production slipped to 70 points as the Oilers missed the playoffs. More than a few people shared TSN’s Ray Ferraro’s assessment that he was overpaid. Indeed, Draisaitl’s contract was lumped in with Milan Lucic’s ($6 million annual average value) and Kris Russell’s ($4 million per) as examples of bad deals handed out by then-Oilers general manager Peter Chiarelli. Draisaitl had a lot to prove entering 2018-19. Despite yet another disappointing season for the Oilers, he’s among the few bright spots. Skating alongside superstar center Connor McDavid, the duo has become one of the most potent scoring tandems in the league. 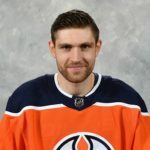 As of March 9, Draisaitl (86 points) was sixth among the league’s scoring leaders (McDavid was third with 96) and second in goals with 41. Draisaitl could become the first Oiler to score 50 goals in a season since Wayne Gretzky and Jari Kurri in 1986-87. He and McDavid could also become the first Oilers teammates to reach 100 points in a season since Jari Kurri and Jimmy Carson in 1988-89. Draisaitl’s critics will likely claim he’d be nothing without McDavid as his center. While having the best player in the league as a linemate certainly doesn’t hurt, Draisaitl has proven many times in his young NHL career that he’s capable of putting up points without being McDavid’s wingman. It’s a testament to Draisaitl’s goal-scoring ability that he’s meshed so well with the Oilers’ captain. If it was easy, anybody could skate on McDavid’s line and put up 40 goals in a season. Clearly, no one else on the Oilers can. The Draisaitl we’re seeing today is a maturing player coming into his own as a scoring star. Even with the Oilers struggling elsewhere throughout the lineup and with their playoff chances fading, he and McDavid still give their best in every game to keep those hopes alive. Draisaitl is also displaying his versatility as a forward, capable of skating at left wing or at center. He’s learned to adjust his game to best fit his role. Considered primarily a playmaker, he’s become an effective sniper alongside McDavid. At 23, Draisaitl is approaching his prime playing years. If this season is indicative of what to expect over the remaining six years of his contract, that $8.5-million per season will prove to be a bargain for Edmonton. The Oilers still have plenty of issues to address throughout their roster, some of which remain exacerbated by bad contracts for fading veterans like Lucic and Russell. Draisaitl’s contract, however, can no longer be lumped in amongst those hampering the Oilers’ efforts to improve their roster. He’s worth every penny. Mark Stone to the Vegas Golden Knights – Vegas GM George McPhee failed to land pry Erik Karlsson away from the Ottawa Senators at last year’s deadline but had better luck with another Sens star. Stone, 26, is among the league’s best two-way forwards and should be a fine addition to the Golden Knights lineup. He’s no rental player, as he’s reportedly signing an eight-year contract extension worth $9.5-million annually. Minnesota Wild trade Mikael Granlund to the Nashville Predators for Kevin Fiala. Player-for-player swaps tend to be rare on deadline day but this one between the Wild and Predators ranked among this year’s notable moves. The Preds get themselves a skilled playmaking winger in the 26-year-old Granlund, who’s on pace to reach 60 points for the third straight year and is signed through 2019-20 with a $5.75-million annual salary-cap hit. He’ll be an upgrade over the 22-year-old Fiala, who has plenty of offensive ability but has struggled to reach his full potential. Kevin Hayes to the Winnipeg Jets – For the second straight year, the Jets bring in a center. Hayes isn’t as skilled as Paul Stastny (last season’s addition) but he’s got good size (6’5″, 217 pounds), solid offensive abilities and can play all three forward positions. That gives the Jets some flexibility should they need to shift second- or third-line players around. The Rangers, in addition to getting two draft picks for Hayes, also received Brendan Lemieux, who should develop into a steady third-line forward. Gustav Nyquist to the San Jose Sharks – The Sharks’ powerful offense just got more bite with Nyquist. He’s on pace for a career-best 60-point season. Given his ability to play center or wing, he can slot in on the Sharks’ second or third line. A solid rental addition who could bolster the Sharks’ Cup hopes. Marcus Johansson to the Boston Bruins GM Don Sweeney was said to be kicking tires on Mark Stone and Wayne Simmonds but found the asking prices too steep. Johansson, acquired at the cost of a 2019 second-rounder and a fourth in 2020, was more palatable. His recent concussion history makes him a bit of a gamble but when he’s healthy he’s a crafty offensive forward who can play center or on the wing. Johansson should provide a boost to the Bruins’ secondary scoring over the remainder of the season. Vancouver Canucks trade Erik Gudbranson to the Pittsburgh Penguins for Tanner Pearson. Desperate times call for desperate measures, or at least, that’s how this move by Penguins GM Jim Rutherford seems to be. With blueline stalwarts Kris Letang and Brian Dumoulin sidelined by injuries, Rutherford needed some experienced depth and toughness to counter anyone attempting to take liberties with his best players. Gudbranson will bring the grit but he’s had trouble adjusting to the increasingly faster pace of the NHL game. Still, he should bring more to the Penguins than Pearson, an early-season addition who quickly flamed out. Maybe he’ll have better luck with the rebuilding Canucks. Back in October and December, I examined this season’s higher rate (3.11) of NHL scoring compared to recent previous seasons. While the rate remained steady during that period, it has since declined slightly to 3.05. That’s still the highest it’s been since 2005-06. One reason for the decline is the drop in power-play opportunities (3.05, down from 3.15) and power-play percentage (19.91, down from 20.41). Save percentage saw a slight uptick from .907 to .908. Passing the mid-point of the season could account for these changes. As games take on greater meaning as the schedule rolls along, teams tend to place greater emphasis on defensive play. The long grind could also be taking a bit of a physical toll upon the players. 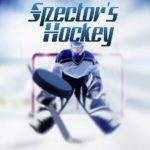 Eight others – Toronto’s Mitch Marner, Boston’s Brad Marchand, Tampa Bay’s Steven Stamkos, Winnipeg’s Blake Wheeler and Mark Scheifele, Edmonton’s Leon Draisaitl, Carolina’s Sebastian Aho, and Pittsburgh’s Sidney Crosby – are on pace to reach between 95 and 99 points. They still have a chance of finishing with 100 points. The number of potential 50-goals scorers has dropped considerably since Dec. 15. Back then, 13 players were projected to reach that vaunted plateau. It’s now just two: Washington Capitals captain Alex Ovechkin (55 goals) and Buffalo Sabres left wing Jeff Skinner (52). Five others – Draisaitl, Kane, Point, Stamkos and Toronto’s John Tavares – are within range of reaching between 45 and 49 goals. Should these projections be met, 2018-19 will still be a considerable improvement over last season, when just three players reached 100 points (none reaching over 108) and no one tallied 50 goals. It could still become the best offensive season since 2005-06 when seven players reached 100 points and five tallied 50 goals. Kucherov has a shot at becoming the first player since Mario Lemieux in 1995-96 to reach 130 points. Ovechkin could have his eighth 50-goal campaign, putting him one shy of Hall-of-Famers Wayne Gretzky and Mike Bossy on the all-time list.